Exploring inland Belize was on my list simply because it wasn’t on everyone else’s; while researching the interior of the country, I felt this region somewhat underrated considering its diversity of activities and natural attractions. Turns out I was right; inland Belize forms the crux of what makes the country so unique. I found it more appealing than the acclaimed Cayes and the glorious big Blue Hole. I journeyed through its dense green forests, untrodden locations, befriended fascinating people and learned the Belizean way of life. The country surpassed my expectations, making me fall madly in love with its beauty and its people – creating lasting memories. 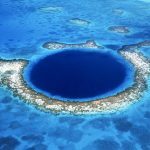 Belize truly felt like a dream country to live in, under the tourists’ radar, nature’s best kept secret, and here’s why! 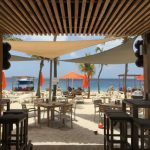 Take it easy with the Belizeans! 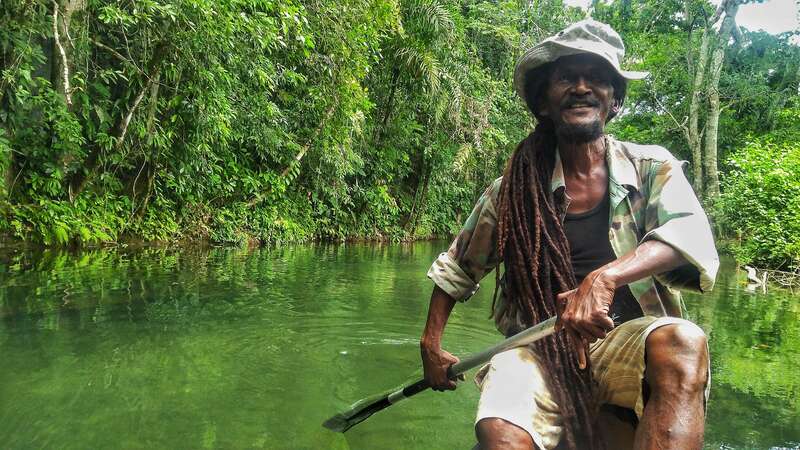 How I wish I were as fearless as the Belizeans’ to find the sense of contentment with a laid-back, free will to do whatever you want, friendly, take it easy kind of attitude! I met a couple of expats here who moved to Belize. 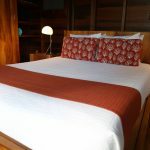 When I curiously asked why the live here, they all had pretty much the same answer “Belize is a dream come true!” I wasn’t surprised at that, I myself felt like moving here after spending just a week. Their binary decision-making process felt like was the secret behind their attitude. It instantaneously engulfs you and alleviates the tension brimming from the constant thoughts, concerns running in your mind. Coming to Belize and unwinding from the daily grind of my job completely helped restore my sanity. Mouthwatering food cooked with love and care! When I visit a new destination I am interested in trying local food, but enjoying a meal with the locals with a big happy family gave me a different high. Bonding with the people from the places I was staying at exposed me to different types of cuisines. Home-made food, recommendations close to peoples’ heart, cooking lessons from the experts led to developing my personal favorites, some of which I brought back with me to the USA. While I was in Aguacate I had the best time devouring traditional Mayan dishes. The family I was staying with spoiled me and educated me in this aesthetic cultural exchange. Hopkins introduced me to lesser known Garifuna culture and their dishes that we cooked from scratch. 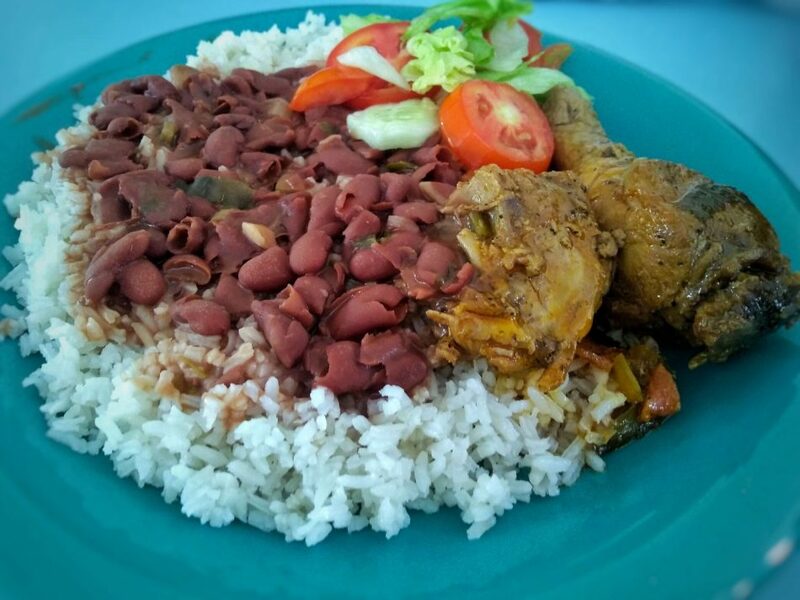 Belizean food found its way to my heart because of the unforgettable memories, friendly comfort and experiences adhering to it. Belizeans’ are known to be very friendly. They’ll welcome you with absolute warmth, making you feel like a part of their own. I remember meeting Ernie one of the locals sitting at David’s Adventure Tour. I sat there waiting for David the evening before I was leaving the town and turns out he was to, we both began chatting and the next thing I know, I am learning to make ceviche at his place from one of his friends at the barbecue party that he invited me to. While I was staying at Cohune Palms, the owner, Mike made me feel at home by accompanying me whenever I got back early from my excursions. We would sit, drink and talk about Belizeans plight of dealing with the Guatemalans illegally entering their country and stealing their vehicles and horses! When it comes to hospitality I will never forget my beautiful and generous Mayan family in Aguacate who went above and beyond in hosting me. You can read more about it on my blog here. Exploring the waterfalls, creeks and rivers in the forests was like finding a hidden treasure after having ventured through the tunnels and holes. I remember the time I went hiking to Antelope Falls in Mayflower Bocawina National Park. It was one of the most difficult hikes of my life which started with loads of excitement as we walked deep into the forest. The hike became more arduous; finally we reached a point where the uphill path ended and we had to rock climb our way up the steep slope for almost an hour with the ropes thoughtfully tied by the forest guards for our assistance. After 2 strenuous hours we were in front of the falls, a splash in the calm water overlooking the jungle made me forget about the pain and soreness in my feet. 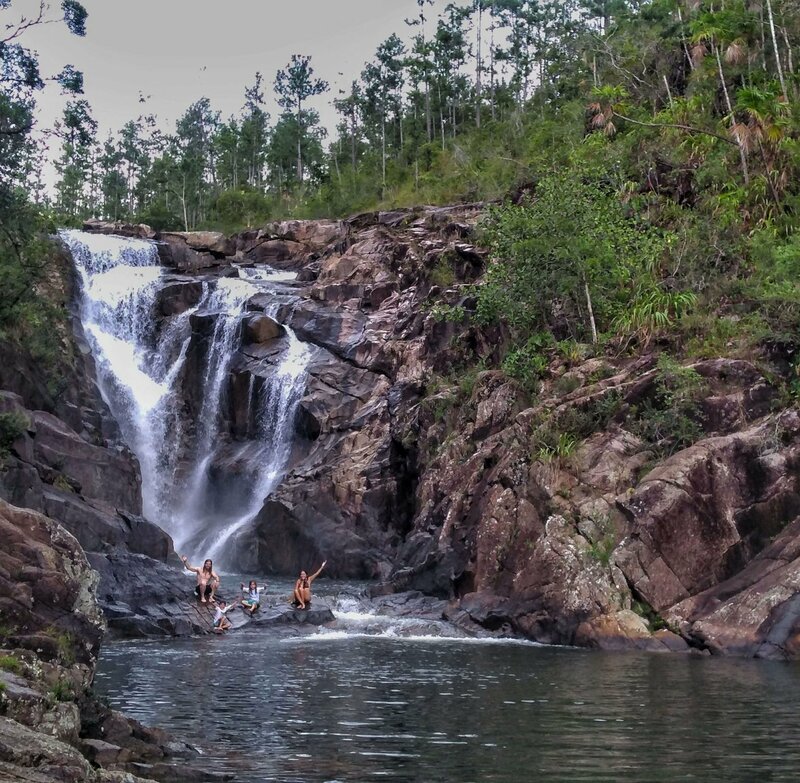 Swimming in Big Rock Falls in Mountain Pine Ridge National Park was another awe-inspiring moment where we drove for almost 3 hours into the forest. Then we hiked for 10 minutes, descended the steepest stairs for another hour until we saw the beauteous falls in the wilderness. For me, the journey to these jewels is what made the experience inestimably remarkable. Aesthetic ruins at some exquisite locations. I have to say Mayans had the best choice when it came to scouting for a location to build their home. Belize proudly hosts the most handsome and archaic ruins located in the most remote yet stunning areas of the country. My favorite being Lubaantun Ruins in San Pedro, Columbia Village in Southern Belize. These are located deep in the jungle, so hidden I have heard about tourist being robbed here. I went here during my stay in the Earthship which is a 5-minute walk from the ruins. Richard the owner of the Earthship took me to see the sunset here, we walked with a Machette and the dogs guarding us. The ruins are excavated but not restored and had a mysterious charm to it as not much is known about them, but you will get to see one of the most beautiful sunset from here. ATM Caves and Caracol ruins are the most famous and visited ones. A 2 hour long, backache inducing drive from San Ignacio town through unkempt road, swimming across the Mopan river and walking for half an hour drenched in water is your journey to ATM Caves. One then gears up to swim your way through the caves and climb the rocks inside to explore the upper most Mayan chamber on the second level of the cave, where you get to see the skulls, femurs and bones! This is one hell of a location and adventure. Accessing the Caracol ruins on the other hand, is fairly straight forward although you have to endure yet another harrowing 2 hour drive through the Mountain Pine Ridge National Park, close to the Guatemalan border. I found these ruins the most interesting of all. While learning about these ruins, all I could think was if I ever get stuck here, I could totally survive. The ruins have a pond serving as a water supply, Cohune nuts everywhere acting as a perfect source of cooking oil, giant avocados hanging from the trees, mint leaves, tomatoes, termites, guards to protect the premises and a breathtaking sunrise from one of the pyramids. These intriguing ruins magically transports you back in time to the ancient Mayan World. Different culture but similar penchant for keeping it alive. Get your hands on some drumming lessons. Apart from friendly and easy to talk to Mayans, you’ll also see Garifuna’s as you go down south. During my stay in Hopkins I took a Garifuna cultural tour with Palmento Grove Cultural and Fishing Lodge on Johnson Island – a region that also is a cultural preservation center. Miss Martinez runs this program in an effort to preserve their culture. 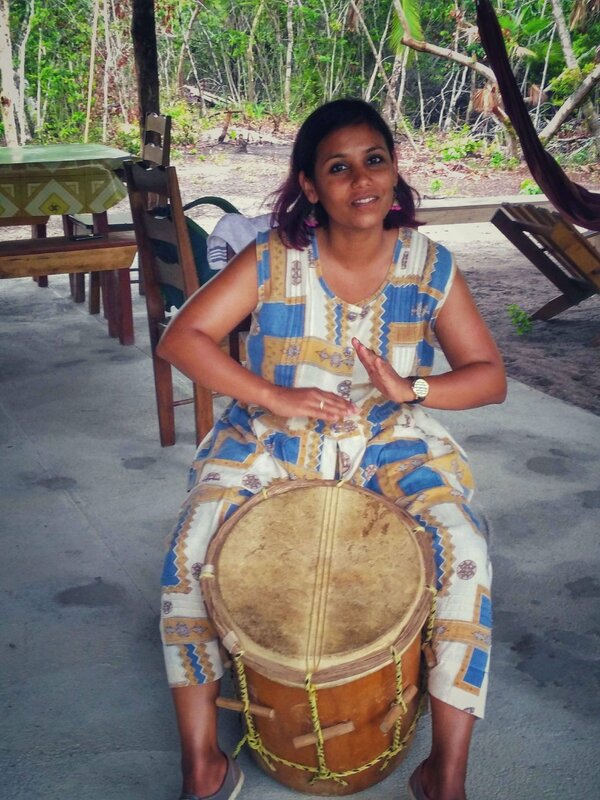 They also offer stays in their lodges for a Garifuna Village experience; activities include fishing with one of the local fishermen and learning to cook their traditional dish Hudut with your fresh catch. We cooked Hudut with old school instruments which was challenging yet fun. Miss Martinez is the one who introduced me to breadfruit chips; I have been obsessing over these ever since. The contrast between the north and southern part of the country is very evident – people from two different cultures but a common goal of keeping their heritage can culture alive. 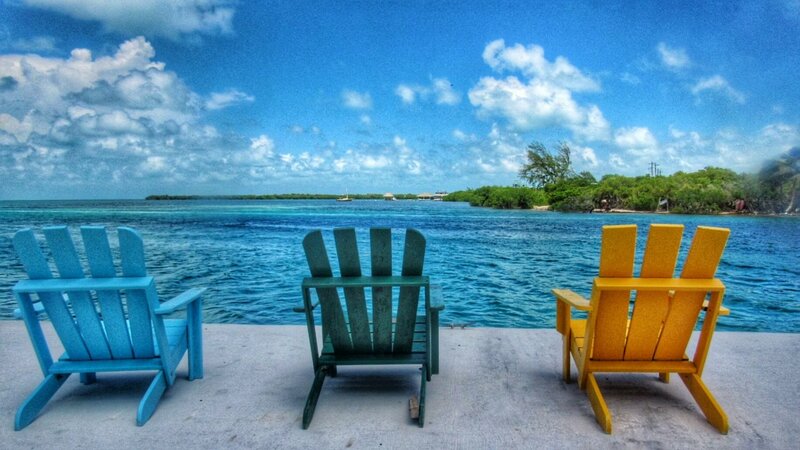 Go slow in Caye Caulker. Snorkeling in Belize is definitely a must. It proudly features one of the best barrier reefs in the world; this makes snorkeling much more than just colorful fish and coral. 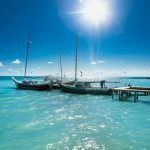 Goff Cayes, Caye Caulker, Snake Cayes and Sapodilla Cayes are some of the local favorites. These Cayes are less crowded and offer clearer water for snorkeling – or just relax in your hammock! the Cayes have a completely different vibe then the rest of the country. 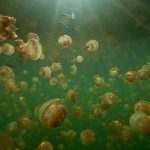 It is comparatively busy, touristy but definitely the best place to watch the underwater wildlife! Belize is untethered by tourism, still maintaining its authenticity, adhering to its roots; a culture well preserved. The minimalism lifestyle helped me put a lot of things in perspective. Every day was a learning experience, bringing me one step closer to building the courage of pursuing my dream inspired by their fearless attitudes. Hence making it one of my favorite countries of all time and natures best kept secret. Don’t you think so?